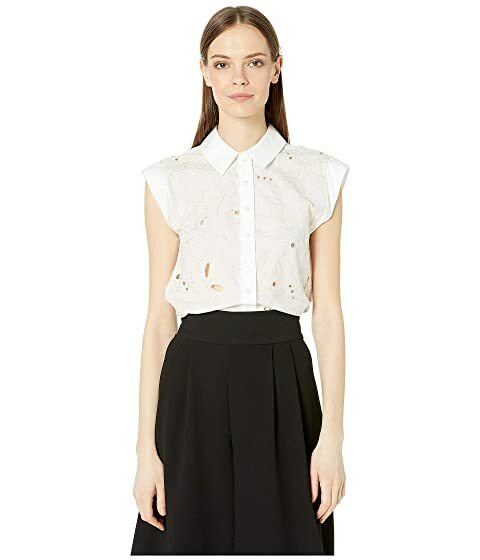 Get a new start with your wardrobe wearing this See by Chloe™ blouse. Allover floral embroidery with cutout design. We can't currently find any similar items for the Sleeveless Embroidered Floral Blouse by See by Chloe. Sorry!